Source: Engineering NZ, 2017; PayScale, Seek, 2018. Chances of getting a job as an aeronautical engineer are average for graduates, but good for those with experience. Pay for aeronautical engineers varies depending on skills and experience. Aeronautical engineers usually earn between $50,000 and $100,000 a year. Aeronautical engineers with specialist skills or who can act as Civil Aviation Authority delegates (with the authority to approve aeronautical designs) can earn between $100,000 and $150,000 a year. Sources: Engineering New Zealand, 2017; careers.govt.nz research, PayScale, Seek, 2018.
give technical and regulatory advice to professionals in the aerospace industry. the ability to use computer-aided design (CAD). may travel nationally and internationally to inspect aircraft and attend courses and conferences on aeronautical engineering. What would be one of the proudest moments in your career so far? What advice would you give someone interested in a career in aeronautical engineering? To become an aeronautical engineer you need to have a Bachelor of Engineering. 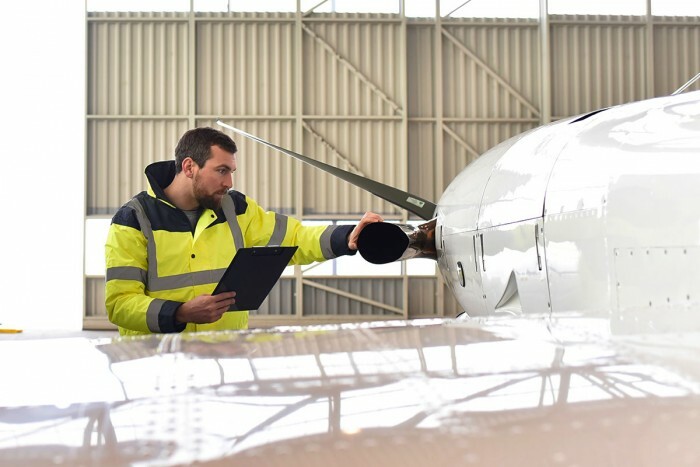 Aeronautical engineers should aim to become chartered professional engineers and Civil Aviation Authority design approval holders after five or more years of industry experience. NCEA level 3 is required to enter tertiary training. Useful subjects include English, maths, physics, and construction and mechanical technologies. There are times where the solution to a problem is obvious. But it's the times where the solution is not so obvious that are the most crucial. inventing mechanical or electronic devices or equipment. Due to a shortage of workers, there is strong demand for experienced aeronautical engineers in New Zealand. The chances of getting a job as a graduate aeronautical engineer are average due to stable demand for engineers at this level. Demand for aeronautical engineers is expected to continue because the aviation industry is growing. The number of aeroplanes with over 100 seats serving Australia, New Zealand and the South Pacific region is expected to grow by 600 aircraft in the next 20 years. It's important for graduate aeronautical engineers to do internships or gain work experience while they study as this is valued by employers. Most aeronautical engineers work for Air New Zealand Engineering. the Royal New Zealand Air Force. Air New Zealand, careers.govt.nz interview, October 2018. Bradley, G, 'New Zealand Aviation Market set to Boom says Airbus', New Zealand Herald, November 2017. Cook, J, chairman, supply, services, and engineering division, Aviation New Zealand, careers.govt.nz interview, October 2018. Kerr, S, finance and projects, Flight Structures, careers.govt.nz interview, September 2018. Read, E, 'With More People Flying Than Ever, Airline Profits Are Tipped to Rise - IATA', Stuff, December 2017. Aeronautical engineers may move into supervisory or management roles within airlines, oversee a team of engineers, or become self-employed consultants working on a wide range of projects. aerospace vehicles, such as rockets.